Showing 9 articles from May 17, 2013. There will be two Hunter Education Classes in the Willapa Harbor area this summer. The classes will start June 17 and August 12. 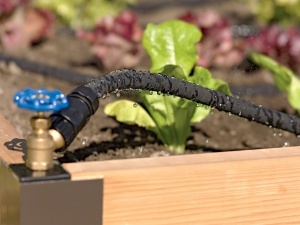 Install an irrigation system, such as the Snip-n-drip soaker system, in the garden. Spring floods, summer droughts and temperature extremes take their toll on gardens and the gardeners who tend them. Help your gardens recover from the crazy temperature and moisture extremes that seem to occur each year. At what Cost do we need Jobs? I grew up in a small town. This small town where I learned right from wrong. I knew my country was the best nation in the world, because anyone, regardless of race, religion, or background could become anything they desired, depending on how hard they wanted to work for it. Big things happening at a festival in Raymond this Saturday. The summer Junior Golf Lessons are back at Willapa Harbor Golf Course this summer. James A. Mueller, 42, of Chehalis, is a dangerous suspect earnestly sought by authorities on two no-bail warrants and two $4,200 warrants in Lewis and Thurston Counties. The following Washington State Department of Transportation construction and maintenance projects are expected to have some travel impacts within Southwest Washington. Motorists are encouraged to use caution when traveling in these areas and remember to " give 'em a brake " in construction zones.